A comprehensive look at the 9,000-year history of cheese, the ways in which it has shaped civilization, and what it can tell us about the future of food. Behind every traditional type of cheese there is a fascinating story. 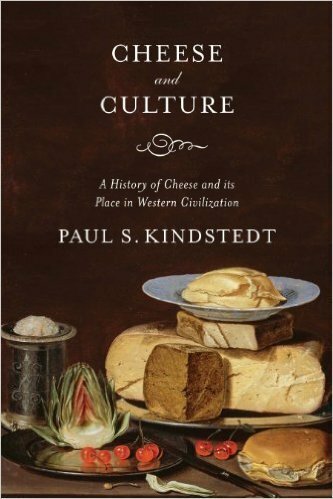 By examining the role of the cheesemaker throughout world history and by understanding a few basic principles of cheese science and technology, we can see how different cheeses have been shaped by and tailored to their surrounding environment, as well as defined by their social and cultural context. Cheese and Culture endeavors to advance our appreciation of cheese origins by viewing human history through the eyes of a cheese scientist. There is also a larger story to be told, a grand narrative that binds all cheeses together into a single history that started with the discovery of cheese making and that is still unfolding to this day. This book reconstructs that 9000-year story based on the often fragmentary information that we have available. Cheese and Culture embarks on a journey that begins in the Neolithic Age and winds its way through the ensuing centuries to the present. This tour through cheese history intersects with some of the pivotal periods in human prehistory and ancient, classical, medieval, renaissance, and modern history that have shaped western civilization, for these periods also shaped the lives of cheesemakers and the diverse cheeses that they developed. The book offers a useful lens through which to view our twenty-first century attitudes toward cheese that we have inherited from our past, and our attitudes about the food system more broadly. 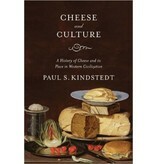 This refreshingly original book will appeal to anyone who loves history, food, and especially good cheese.